1. 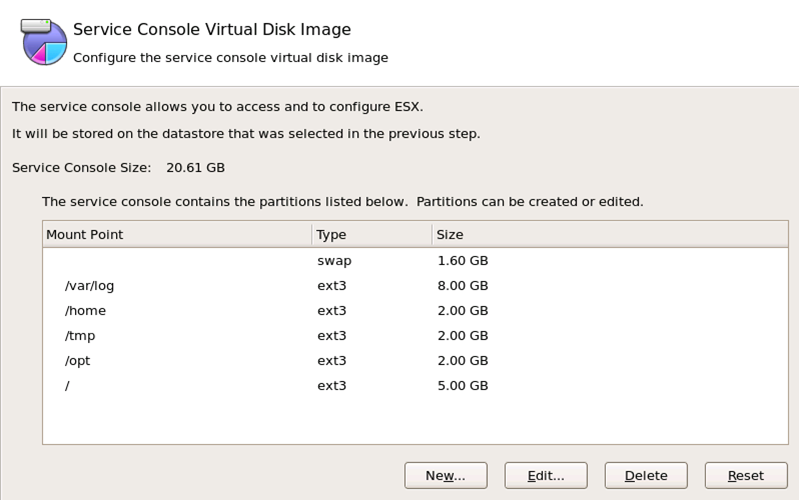 Insert the ESX DVD in the server. 2. 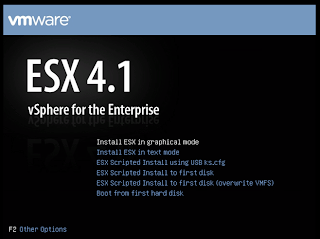 Select "Install ESX in graphical mode". 5. Check "I accept the terms of the license agreement", click "Next". 6. Select the language of "Keyboard", click "Next". 7. 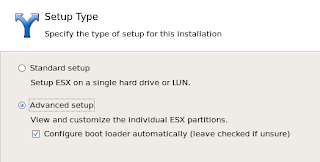 At "Custom Drivers"﻿ screen, ESX accepts to install custom drivers for ESX. 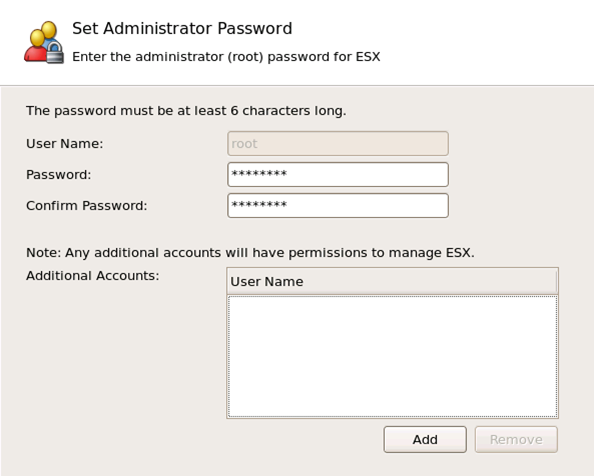 If you want to add drivers for ESX, select "Yes", click "Add". 9. Click "Yes"﻿ to load default drivers. 10. At "Loading Drivers" screen, click "Next". 11. Select "Enter a serial number later", click "Next". 12. 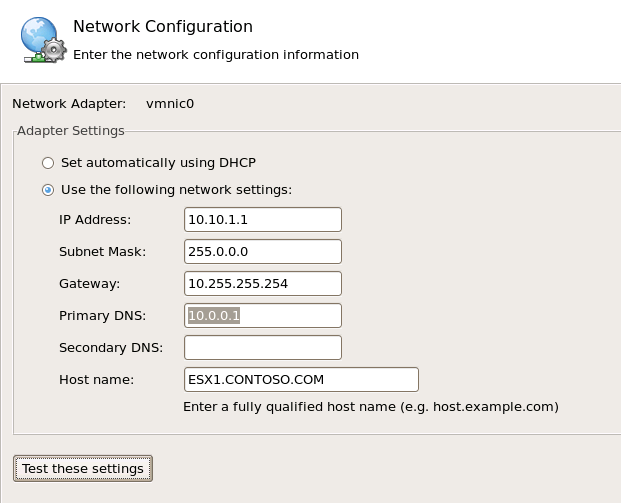 At "Network Configuration" screen, select an adapter for ESX to use for system tasks. 14. 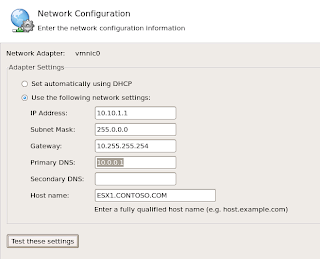 Select "Use the following network settings",﻿ provide the IP address information for the network adapter. 16. 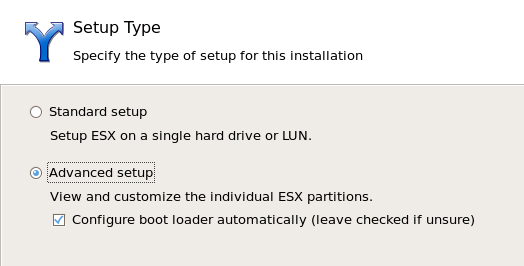 At "Setup Type" s﻿creen, select "Advanced setup". 18. 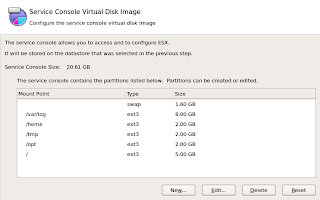 Select the local storage or SAN storage to install ESX. 21. At "Datastore" screen, click "Next". 24. Select the "Time Zone", click "Next". 25. At "Date and Time", provide the NTP server, click "Next". 26. 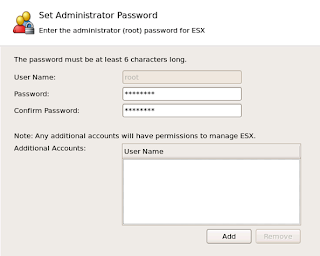 Provide the password for root account and you can add an additional account. 28. 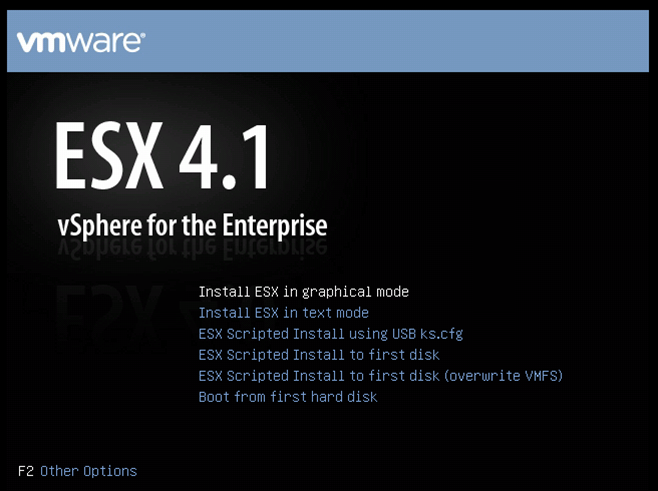 Click "Next" to install ESX. 29. When the installation finished, click "Next".